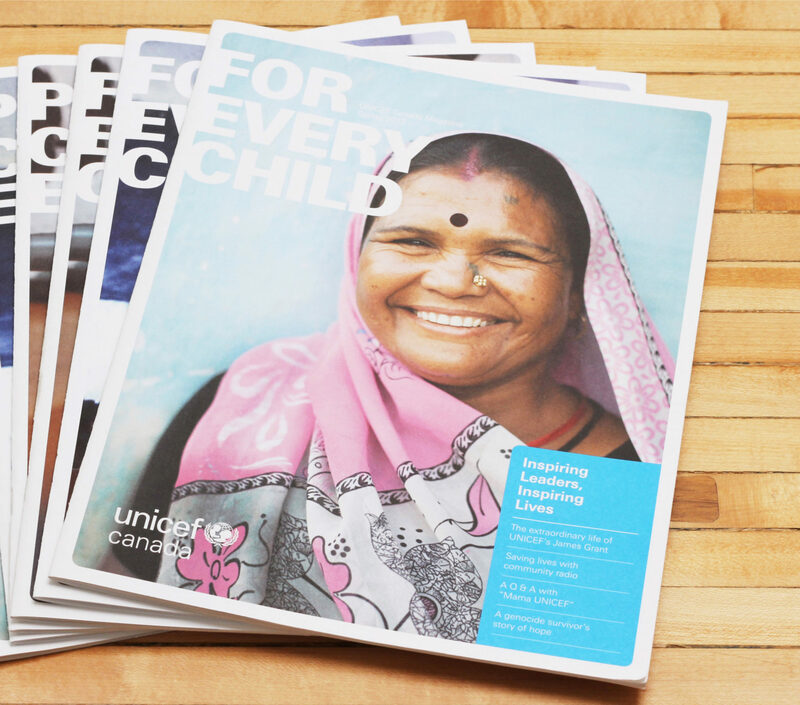 UNICEF's "For Every Child" (FEC) Magazine is published three times per year - in the Spring, Fall and Winter. 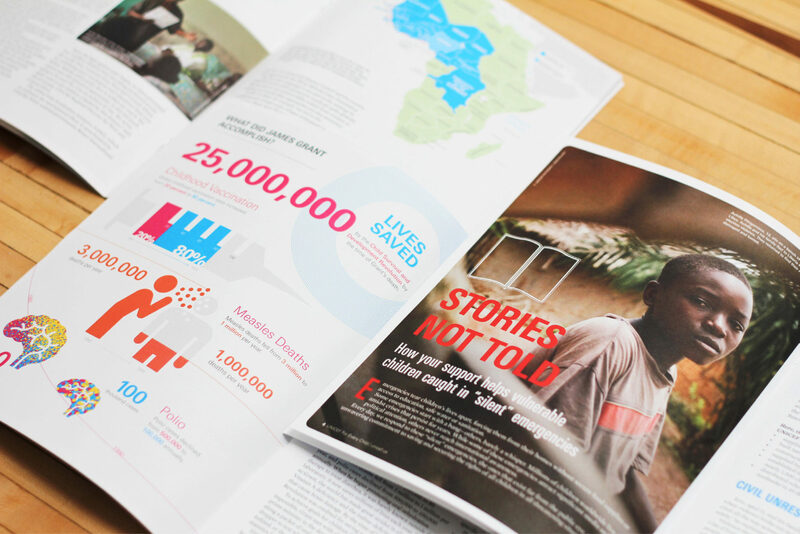 It is made up of thematic stories, features, interviews, and infographics. 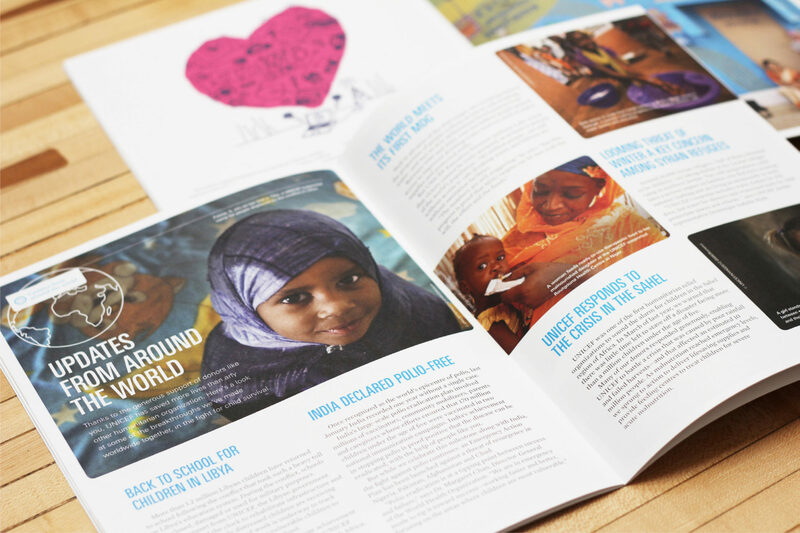 It is a way to keep donors up to date on the interesting things UNICEF is a part of during the year, and throughout history. FEC is published in both French and English. As Art Director on the piece, I have lead the look and feel of three issues, created infographic layouts, and designed one issue in full. In all pieces, I colour corrected and retouched the photography throughout.